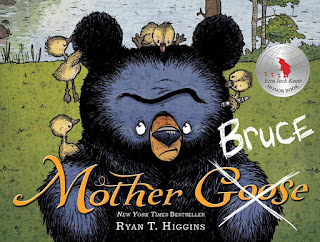 If there was ever a grump we couldn't wait to see again, it's Bruce, the curmudgeonly bear. So naturally I had a million and a half questions for author-illustrator Ryan T. Higgins about what he has in store for Bruce in his latest book Bruce's Big Move. Suffice it to say, this won't be the book where Bruce finds the peace and quiet he's looking for . . .
Bruce shares his home with not only his four geese, but three rowdy mice besides! Fed up with their shenanigans, Bruce sets off to find a rodent-free household. But as usual, nothing goes quite according to plan. . .
Watch the official (and maybe the funniest-ever) book trailer here. 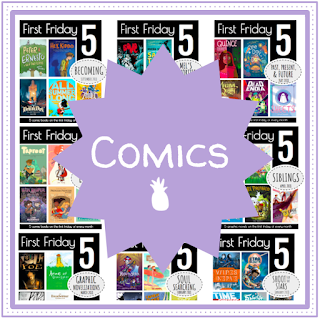 LTPB: This is your third book in the Bruce series, right? So how do you continue to come up with ideas for our favorite grumpy bear? 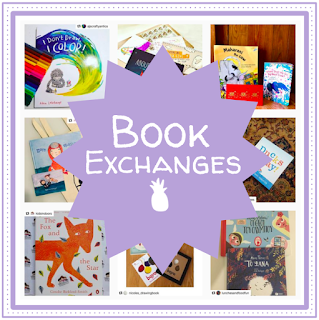 How does your process evolve from book to book? How do continue to build on the visual world you’ve created? RH: It's easy to get bogged down with technical details . . . but I think of Bruce's Big Move as my fourth out of three books. 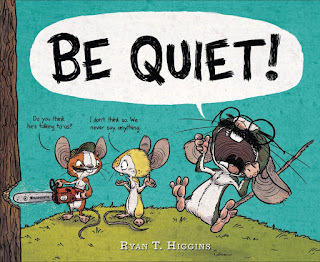 My previous book, Be Quiet! was number "2.5" in the series. I like to keep things confusing. When I started Mother Bruce, I didn't have plans on making a series, but by the time I finished it, I found myself mentally planning more stories. Bruce and I just clicked into place, and I realized I'd be spending A LOT more time with my grumpy old bear. I think the thing that keeps my ideas flowing for Bruce stories is how I look at the characters versus the books they are in. For me, what matters most is Bruce and his little band of tag-along misfits--not necessarily each individual book about them. 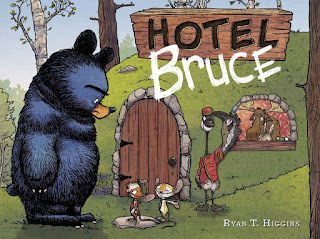 I see each book as a snapshot in the life of Bruce, the bear. It is my hope that readers will come to love the characters first and like the individual books second. I really lucked out in finding Bruce in the cluttered mess of my brain. He and his odd little family seem to have minds of their own. It's as if all I have to do is think of a situation to put them in and they do they rest. If what they do makes me laugh, I pass it on to my publisher. If it doesn't, I have them try it again. The visual world of Bruce continues to build because I am easily bored and distracted. I don't really like drawing the same scenes over and over....so I add new scenes, places, and objects to make things interesting. LTPB: It’s incredible to me that we can see so much texture in the backgrounds of your illustrations, even when we’re looking at sky or grass! What materials do you use? RH: I work mostly digitally. I make the textures on treated clayboard—which is a fancy way of saying I take boards coated with clay and I sand them and throw ink all over them to make a neat grainy texture. It takes me a couple days to make all the textured boards for a book. Almost everything else is done on the computer using Adobe Photoshop and a Wacom Cintiq (drawing tablet). This technique is great for giving artwork an organic look while still giving me the "edit undo" button! I work relatively fast. Once I'm on to final artwork, I can do a page in a day or two. Sometimes I regret that I don't have any original artwork. However, the final product is THE BOOK and THE BOOK comes out best FOR ME this way. I find that the easier it is for me to go back and fix things, the more I experiment. Also, it's a huge perk that I can move characters around and resize them on a page in a matter of minutes—instead of taking days to redraw an entire illustration. LTPB: As someone who writes and illustrates, which usually comes to you first, the sketches or the text? How do you work to balance them so that they’re not redundant? RH: I'm a visual thinker. You'd think that would mean I draw things out first, but I don't. Story ideas play in my head as animated films . . . almost like I have my own personal movie theater (but there's no popcorn). If I like what I'm watching in there, I try to jot it down in my notebook as fast as I can. There's a lot of tweaking and calling for retakes from me, but we all get there eventually. When the time comes to start making a book, I have the storyline and dialogue mostly figured out (with a lot of help from my wife, Joanna, and then from my editor, Rotem), but it really starts to take shape as I do the book dummy or storyboard. This is where we get the narration ironed out so it plays best off the illustrations. Somehow the text and drawings come together to complement each other, but I don't really think about how it's working. 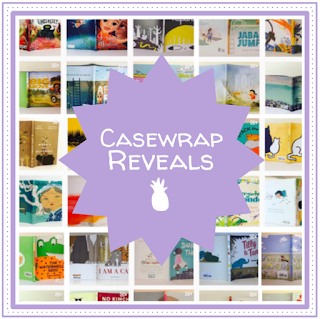 LTPB: How involved are you in the design of your books, specifically your case covers and dust jackets? Did you get to choose the unique trim size that we see in the Bruce books? RH: I'm spoiled with the amount of involvement Disney • Hyperion lets me have in book design. They let me pick the paper stock and trim size. The covers need to be approved by the sales, marketing, and editorial staff, but usually that looks like me just drawing some sketches of possible cover ideas and working with tweaks and input from there. The case covers require a few less approvals. The whole process is very collaborative and works to take the vision I had and improve it into a book. I wouldn't have it any other way. LTPB: What are you working on now? And are we going to see more Bruce? Hopefully he’ll be less cranky (but I doubt it!). RH: I'm just finishing up a book completely unrelated to the Bruce series. It's about a hungry little dinosaur named Penelope, and her first day of school. It's called We Don't Eat Our Classmates. I'm really excited about it. My son is starting Kindergarten this year, and I had a lot of fun taking pictures of his new school for research (it's also the school I went to as a kid). I tried an art style different enough to be a challenge, but similar enough that you can still see it was me making the drawings. It was a fun little break from Bruce, but I'm anxious to get back to my bear. He's grown on me. We have lots of plans for him. 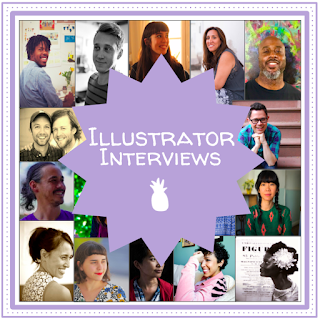 LTPB: The last question I’m asking all illustrators who participate in the series is, if you could have one illustrator, dead or alive, illustrate your picture book biography, who would it be and why? RH: It's a close toss-up between LeUyen Pham and Bill Watterson. Bill Watterson was the biggest influence on my early cartooning development, and LeUyen is, I think, one of the best illustrators working today. I'm very wishy-washy, and I feel it's important that my answer reflect that. A special thanks to Ryan for taking time to answers some questions! 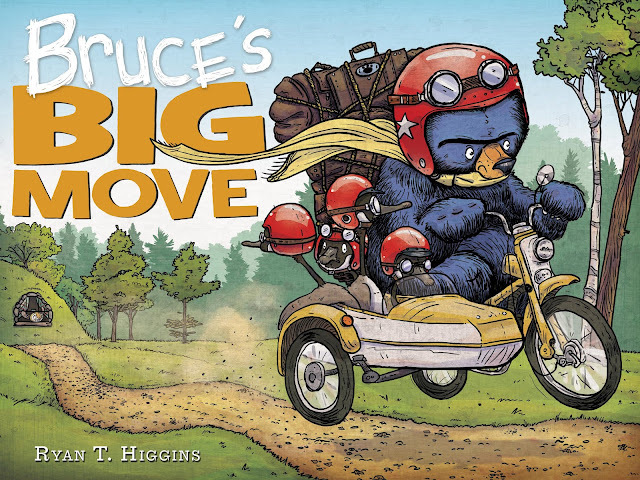 Bruce's Big Move publishes TODAY from Disney • Hyperion! I'd move to get it quickly if I were you! 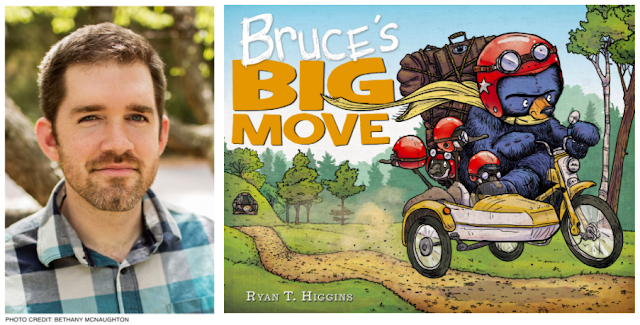 And make sure you pop over to twitter to enter a giveaway I'm hosting: you could win a Bruce's Big Move tote bag and sticker sheet, and all three Bruce books!! Special thanks to Ryan and Disney • Hyperion for use of these images!